First, you need to decide what you want to plant. The two main choices are bush beans or pole beans. I prefer pole beans because they are easier to pick, have better flavor and have less problems from pests and disease. Pole beans will grow nearly anywhere. 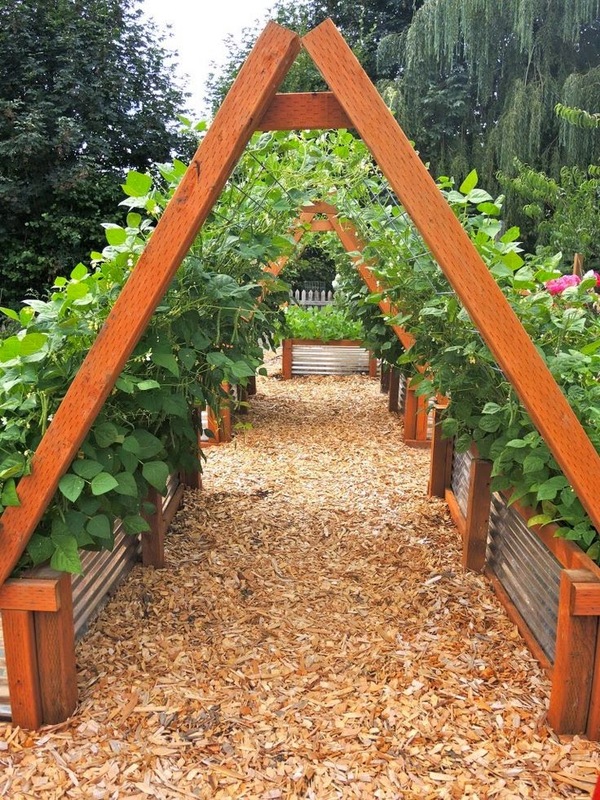 These types of beans require staking with supports that can be from items such as bamboo, string, a fence or trellis. Growing pole beans gives you the advantage of maximizing your space, and the beans grow straighter and are easier to pick. A method I use is to take some six foot long wooden poles (I use bamboo stakes) and place them in an arrangement like a teepee, tying them together at the top. It only takes up about a three foot area. Bush beans grow in the form of small, bushy plants, which are close to the ground, and are easy to grow. They need no support, require little care. These types of beans typically produce an earlier crop, and may require successive plantings for a continual harvest. Choose disease resistant varieties of green beans to prevent diseases such as rust, powdery mildew, and curly top virus. You can soak most green bean seeds overnight in a small dish of warm water. This will help speed up the germination process. Beans love the sun, so plant them in an area that gets at least 6-8 hours of direct sun each day and if possible, in soil that has reached between 65°F or 70°F. When bush beans are planted in hills, they should be about an inch deep and approximately 2-3 inches apart. For rows, plant the beans at the same depth with spacing about 18-24 inches apart. Once the seedlings begin to develop true leaves, the plants can be thinned to six inches apart. Pole beans can be planted at a spacing of 1 foot, while bush beans should be planted at 3 foot intervals. Maintain good spacing around green beans to increase air circulation and decrease chances of powdery mildew. To help prevent diseases, water your green beans at ground level using a soaker hose or drip irrigation system. This helps to keep the plant leaves dry. Try not to walk around or work on your green bean plants when they are wet. Working around the wet leaves can promote the spread of disease. Fertilize once when the plants start climbing the poles. It's best to use organic methods such as compost, fish emulsion, compost tea, or other organic fertilizers. Water bean plants about once a week or more frequently during dry weather. The use of organic mulches, such as straw, grass clippings will help to retain moisture and control weeds. Pick your green beans often. That helps to promote more growth and increases yields. When harvesting green beans, pick them once they have reached adequate size but do not allow them to over ripen. When they are too ripe, the pod becomes tough, and the bean will taste bitter. **Last, but not least, ENJOY your fresh green beans. There is no argument about the fact that Louis Vuitton bags have over the years come to be perceived as 'special' in some mysterious way to many people - a charming fact, really - which makes them many lady's first choice of handbag in as far as they can afford them. But what exactly is it that makes the Louis Vuitton bags so special? Looking at the bags carefully, and examining peoples attitudes about them reveals at least a couple of things (and quite related things at that), which make the bags so special. The first thing that makes Louis Vuitton bags so special is of course their quality. Now quality is a very wide term as far as things like handbags go; and in the case of bags, the high quality manifests through the choice of the base material from which they are made, the workmanship through which the Louis Vuitton bags are put together, and ultimately, the bags' durability. With regard to choice of material, the base material from which bags are made is unmistakably leather; and top quality leather at that. Of course, this is 'highly worked' leather, that is, leather which has passed through a long tanning and beautification process; with the makers all along knowing that it was later to be employed in the manufacture of items in which aesthetics matter a lot. Now the fact that Louis Vuitton bags are made from pure leather might not set them apart from other bags while they are still on the shop racks - but it when they get into actual day to day use that the fact that Louis Vuitton bags are made from pure leather tends to be most manifestly clear; as the bags are able to maintain their sheen while those made from 'leather look-alike materials' lose their sheen within a few days of use, never to get it back again. 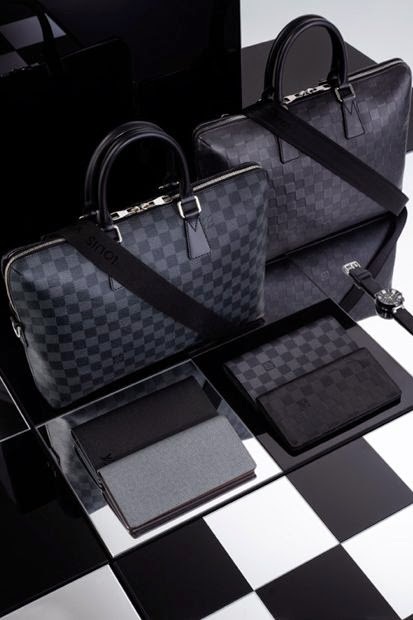 With regard to workmanship, the different elementary parts that make up Louis Vuitton bags are put together with strong (yet almost invisible) stitching material, almost making the bags look seamless - a fact that combined with the pure leather base of the Louis Vuitton bags goes a long way towards ensuring their durability. It is important, talking of durability, to note that bags tend to look good even as they last for long (probably due to their leather base); which is important keeping in mind that handbags are in category of items in which the aesthetics matter a great deal; and there is no use having a handbag that 'depreciates on looks' even as it lasts for long. The other main factor that makes bags special - having talked about quality and quality considerations - is the perception that the makers of have managed to create, through things like celebrity endorsements, cogent advertising and other 'buzz-creating' factors, with the ultimate effect of the name Louis Vuitton itself (even without seeing the bag) sounding rather attractive in many potential buyers' minds. While most people know that they need to drink more water, actually doing it can be tough. The trick to getting more of that purifying liquid into your body is adding some flavor. 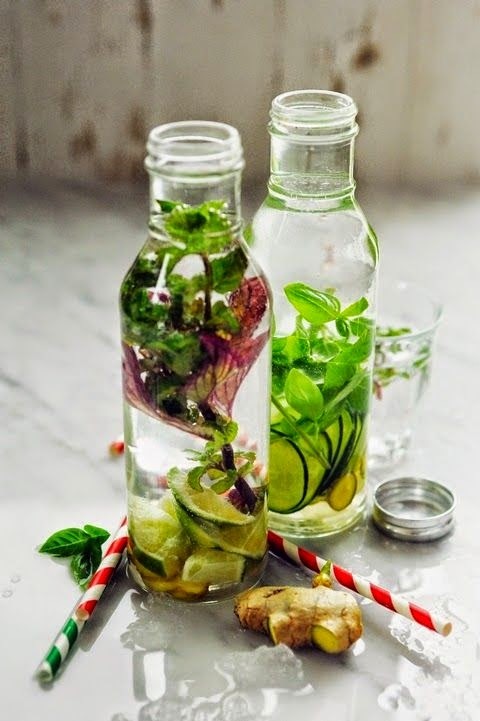 Infused water is the perfect way to do just that. Instead of grabbing a sugary soda, you can drink water, which is free of any sugar or artificial sweeteners. This makes the water far healthier, yet it still tastes good enough that you will want to drink more. Infused water can be made in a few different ways, but the most common is simply steeping the flavor source in the water for a few hours before drinking. Flavor sources can be anything from the rinds of fresh fruit or slices of fruit to chopped herbs. The flavor of the fruit or vegetable seeps into the water and gives it a pleasant taste without boosting the calories. You can find a wide range of flavored waters these days, but a few flavors are particularly popular. Anything citrus tends to be a hit, including lime, lemon, orange and grapefruit. However, other flavors like cucumber, basil or mint and any kind of fruit, are also popular. When you soak a piece of fruit in water, the nutrients seep out and into the liquid. This means you get more vitamins and minerals than if you were to just drink the plain water. Not only does it add variety to your drinks, making you more likely to drink enough water on a daily basis, it is actually good for you. The fact that infused waters are unsweetened means that even those who are unable to have sugar can enjoy them. A healthy intake of water will flush toxins from the body and keep you hydrated, helping you feel fresh and alert. You can either buy water at a spa or salon or make it yourself at home. Fill up your water bottle and drink at home or while out and about to refresh yourself and stay hydrated. It is also a good idea to drink infused waters both before and after a massage session. Since a good massage will help relax you and flush out toxins, you want to make sure there is enough water in your system to enable a complete detox. With good hydration, massage can be an excellent way to release the bad stuff in your body and improve healing. Sodas and sugar laden juices may taste good, but their health benefits are next to nothing, if they even have any. Instead, choose waters to refresh and renew your body. 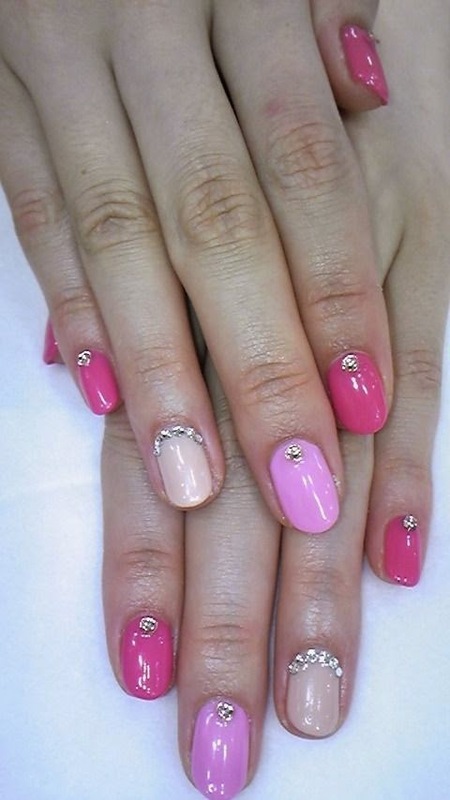 Tips To Get Beautiful Nails - For A Beautiful You! Not just your face but even your hands say it loud when you need to get that perfect impression in a board meeting or on a special person. Your perfectly manicured nails look good and say it loud about how well you maintain yourself. However, nail care is essential for both men and women and few tips that will help you get that perfect nails sitting at home. So, say good bye to expensive salons and French manicurists. 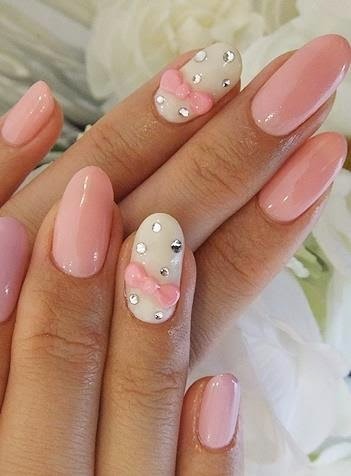 If you devote a little care even once in 15 days your nail will look beautiful, giving you an edge over the others in today's world of competition. 1. Get a basic nail kit that has the necessary tools but is not prohibitively expensive as brand names do not mean great nails! 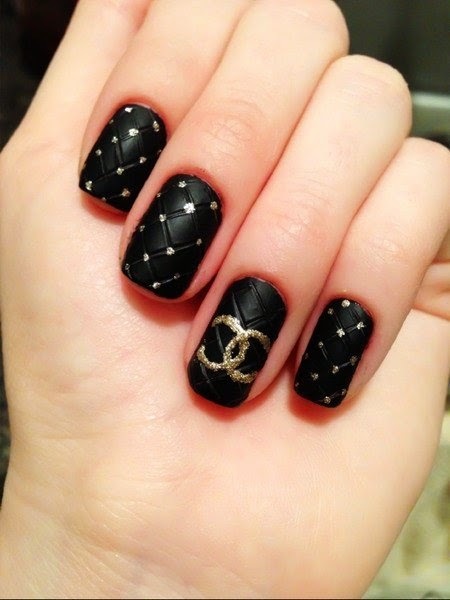 Nail kits are available at every drug store so you can find one that suits you easily. 2. Wash your hands with a herbal based soap and lukewarm water and let it dry. 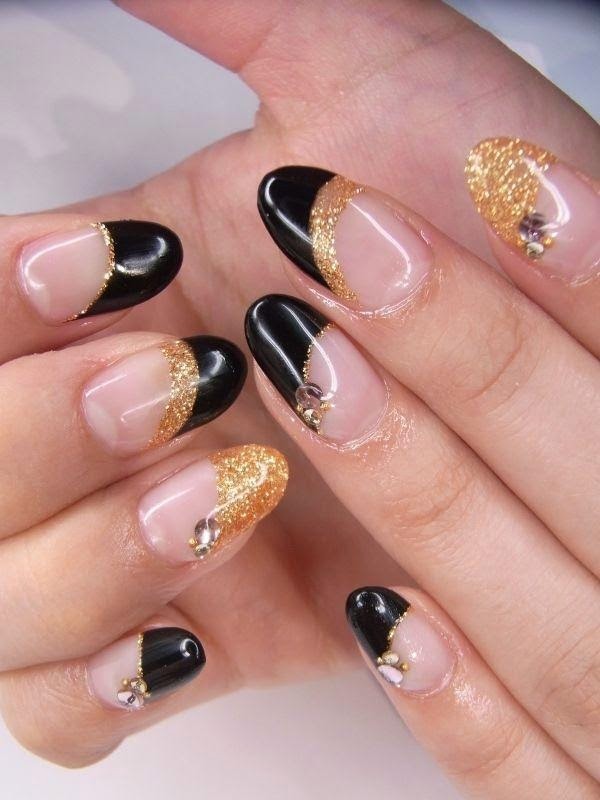 When the nails are soft, they are easy to cut and file. However, be careful as improper filing can weaken the nails. Use a nail file and shape up your nails according to our desire with easy, gentle strokes. File from the side to the middle along the edge of the nail for the best results. Do not apply pressure on the top which will cause then to crack and break. 3. If you apply nail polish, do not put a thick coat and leave it. Beautiful, well manicured nails require 2 to3 coats of nail polish applications to give them that smooth, glossy finish. 4. As with hair and skin, nails also require attention. A well balanced diet and drinking plenty of water keeps the nails shiny and smooth while dehydrated nails look chipped and dry too. 5. Regular nail care is important and occasionally do apply cuticle oil to moisturize and soften your cuticles and nails. This will help the nails to look fresh and smooth, even without nail polish. to safe guard tour skin and nails. 7. Unhealthy habits of biting nails also lead to unhygienic nails and spoil the look of the hands. So, if you are prone to it, give it up! If you follow these tips, you will have healthy, beautiful nails and hands in a short time span. One of the most gorgeous wedding flowers is the peony. 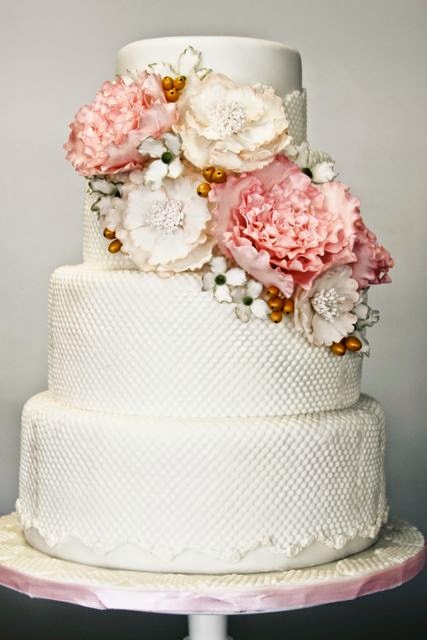 Feminine, gracious, and charming, peonies are one of the favorite flowers for spring brides. These are some ideas on how to incorporate lush peonies into your wedding bouquets and centerpieces. 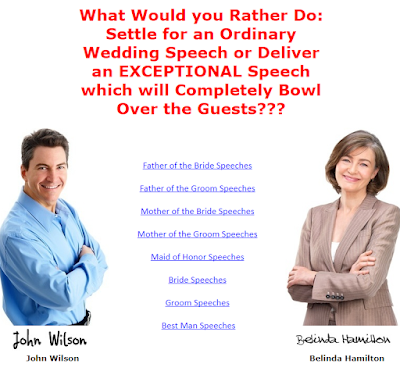 The ideal time to use peonies in a wedding is the late spring to early summer. They can also be special ordered for autumn weddings, though there is always some risk involved in relying on out-of-season flowers (what if they don't look great?). Peonies are not one of the less expensive blossoms, sorry to say, but they are certainly one of the most breathtaking. Fragrant, full, and ultra-girly, the graciousness of peonies is unparalleled. 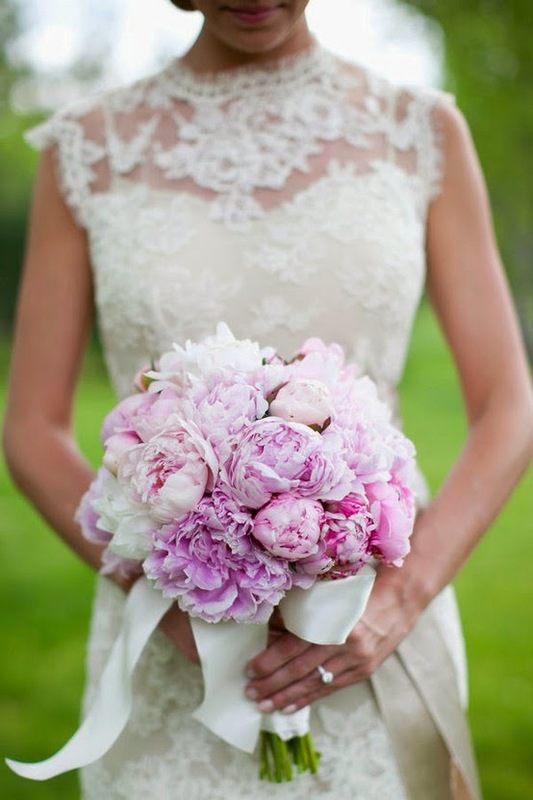 Peonies work beautifully for round bridal bouquets. Their full and ruffly blooms are ideal when a lush bouquet is the goal. A mass of peonies makes a fabulous wedding bouquet all on its own, or it can be combined with other flowers with a similar shape for a bouquet which looks like it was handpicked from an English garden. 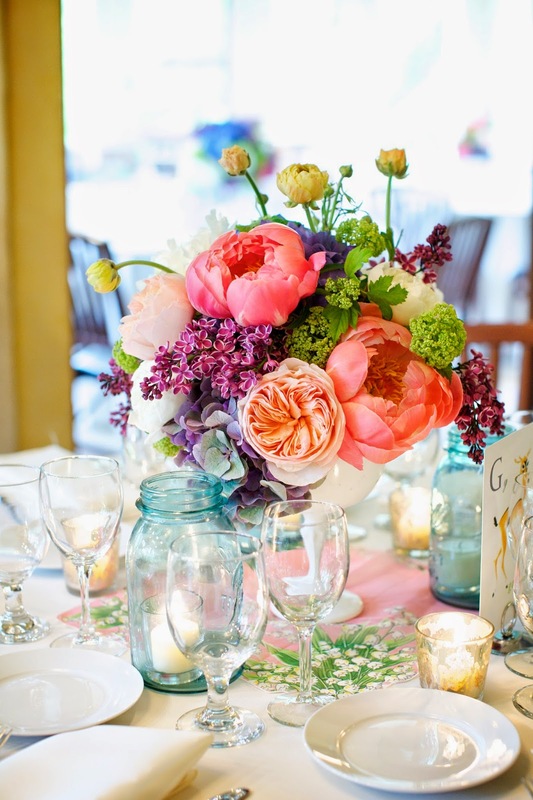 Some of the prettiest blooms to combine with peonies are garden roses, sweetpeas, and French tulips. Whether you opt for a mixed flower bouquet or one with only peonies, similar types of bouquet wraps will be pretty. The simplicity of a hand-tied bouquet with exposed stems is lovely for a garden wedding. Tie it all together with a wide satin ribbon with long trailing streamers for a bit of elegance. To make the bouquet a bit more formal, more intricate bouquet wraps are gorgeous. Get sentimental and use your grandmother's lace hankie as a handle wrap, or opt for a formal woven ribbon design to accent your peony bouquet. 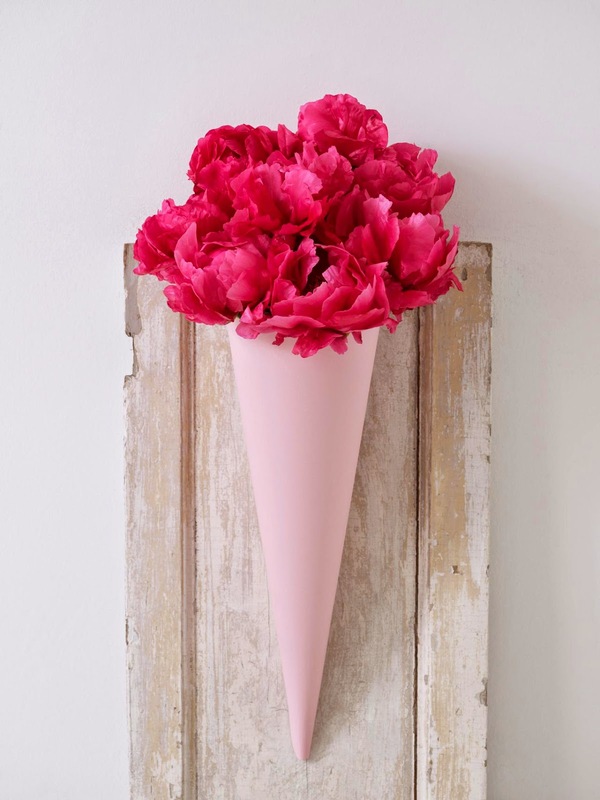 Peonies are usually seen in pale pink, hot pink, a pinky-red, and white. Pale yellow peonies are also available, as are double peonies, which are two toned. The pinks tend to be the most popular for weddings. They are great for both the bride and her bridesmaids. A pink peony bridesmaid bouquet is perfect for a preppy style bridesmaid dress with the attendants in simple strapless dresses and pearl bridesmaid jewelry. 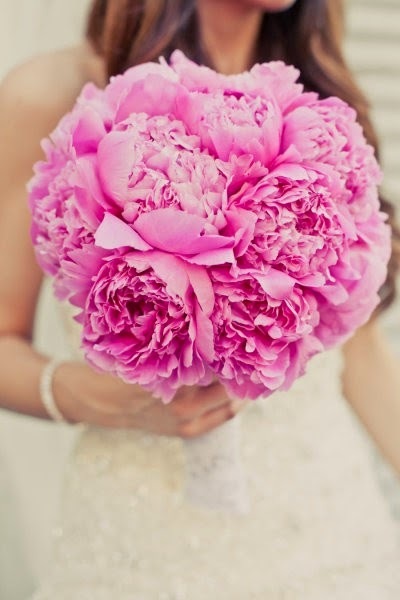 Hot pink peonies are a great contrast to more richly colored bridesmaid dresses such as charcoal, navy, or brown. Just for fun, you could have sets of pearl bridesmaid jewelry created which have a scattering of crystals in the same hot pink as the flowers. There are many fantastic centerpiece designs which are based on peonies. The flowers themselves are so beautiful that they look incredible in even the simplest arrangements. 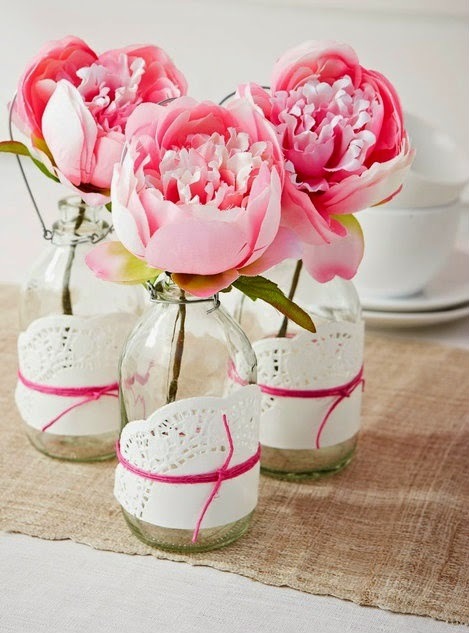 For DIY wedding centerpieces, a lush bunch of peonies in shades of pink can be stuffed into short tin pails or white pitchers. If you prefer a more formal effect, the same flowers would be stunning in a tall footed urn. Just remember that peonies look best when they are packed together to be very full and rich looking. From garden to ballroom, preppy to romantic, the peony is the perfect flower for so many styles of weddings. Always gorgeous, this luscious spring flower is sure to become one of the favorite things about your wedding decorations. It is said that carrot is the ultimate vegetable among all, just as garlic is the ultimate herb of all herbs. Let us explore together why carrot is beneficial for our health and why making it part of our diet is imperative. For starters, carrots have a high dose of beta-carotene. This is an anti-oxidant that is converted by the human body into Vitamin A. Although the body can only convert a particular amount of beta-carotene to Vitamin A on a daily basis, the excess beta-carotene acts as a protection for other diseases and medical conditions. Carrots have powerful healing properties that people do not realize. Drinking a glass of carrot juice daily can actually make you healthier than most vitamin tablets. Below is a list of several diseases and complications that carrot can help eliminate or heal. This is a condition in which there is an increased acidity in the blood. This happens when the blood pH level falls below 7.35. Carrots have alkaline elements that help the blood maintain a balanced alkaline and acid level. Carrots have Pectin that helps reduce cholesterol levels in the body. Pectin was first discovered in 1825 and is now commercially available in powder or tablet form. But why buy pectin when you can easily get it from carrots? Taking carrot juice will help reduce constipation. Ideally, you need to take five parts of carrot juice mixed with one part of spinach juice. Anemia is the lack of white blood cells and causes lack of oxygen. 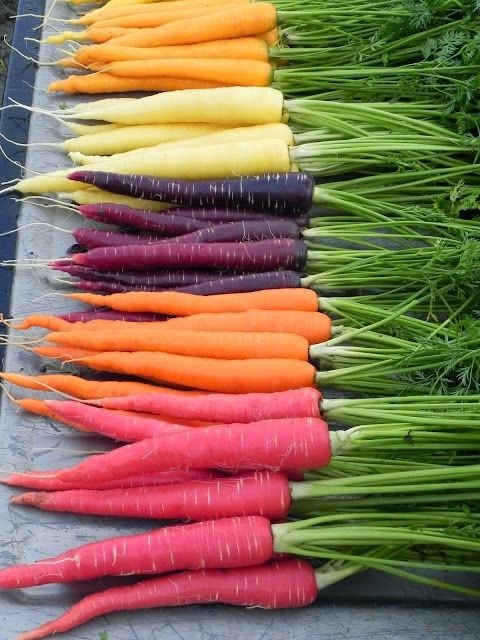 Carrots have molecules that are very close to that of humans and this helps and speeds up the production of hemoglobin. If you are a smoker, you are likely to get emphysema. This is a deadly lung disease that causes shortness of breath. On top of this, the issues that support the shape and position of the lungs are damaged. Carrot juice, when taken regularly, will help you avoid emphysema. Yes. Studies have shown that one carrot a day significantly reduces the risk of cancer. The antioxidant properties of carrots help the body eliminate free radicals that damage the body's tissues and organs. The ear, nose, and throat, are often susceptible to congestion and carrot juice is a very powerful mix that unclog these areas. With a glass of carrot juice per day, you will be able to eliminate sinusitis, phlegm, and sore throat altogether. Should we say more? 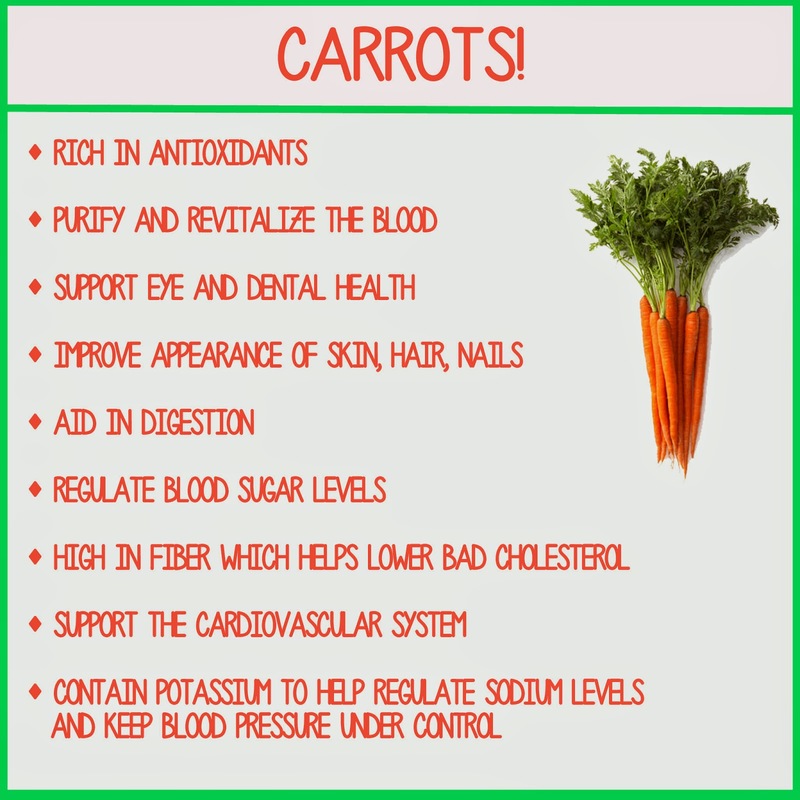 Carrots are very rich in beta-carotene and lutein. These are compounds that will help you maintain great condition especially in the optic nerves. A lot of food supplement are sold commercially that contain beta-carotene and lutein to help reduce the risks of deteriorating eyesight. Why would you pay for these food supplements when you can get them cheaper and more natural through a glass of carrot juice? Did you know that drinking carrot juice will help you prevent your bay from getting jaundice? Drinking carrot juice is highly recommended for pregnant women especially at the last stages of pregnancy. It is said that carrot is also helpful in making people fertile. The reason for infertility is the lack of vital nutrients. Carrot juice will help you solve this problem as it is very rich in enzymes and nutrients that your body needs. With its anti-oxidant properties alone, carrots can help boost the immune system by providing warriors inside the body. The body is subjected daily to toxins and harmful chemicals and these will develop free radicals that will destroy the cells. Without antioxidants, the body will exert more effort killing these free radicals. Carrot can provide extra support to battle these harmful elements and help the body produce more white blood cells. The white blood cells are the body's army for destroying harmful elements that try to destroy the tissues and organs. Kids aren't born hating vegetables, they are taught it. Most likely they've learned from watching how their parents reacted to eating vegetables. If you love broccoli, then chances are your kids might like it as well. I use to eat huge plates of broccoli when I was a kid. Getting kids to eat fruit really isn't a problem. Stick to a bowl of strawberries, blueberries, raspberries apples, oranges or anything like that and the kids will eat it up. Trying to take a kids peach is almost as bad as trying to take their candy. Heck I've seen kids love lemons. Weird, but true. This article gives you some pointers on how to encourage your kids to eat more fruits and vegetables and less candy, junk, ice cream, etc. The most important thing to do is to not hide vegetables from them. Don't try to conceal them. This will tell them that their unpleasant and that they should avoid them. If they learn from a young age to enjoy vegetables they will eat them the rest of their lives. 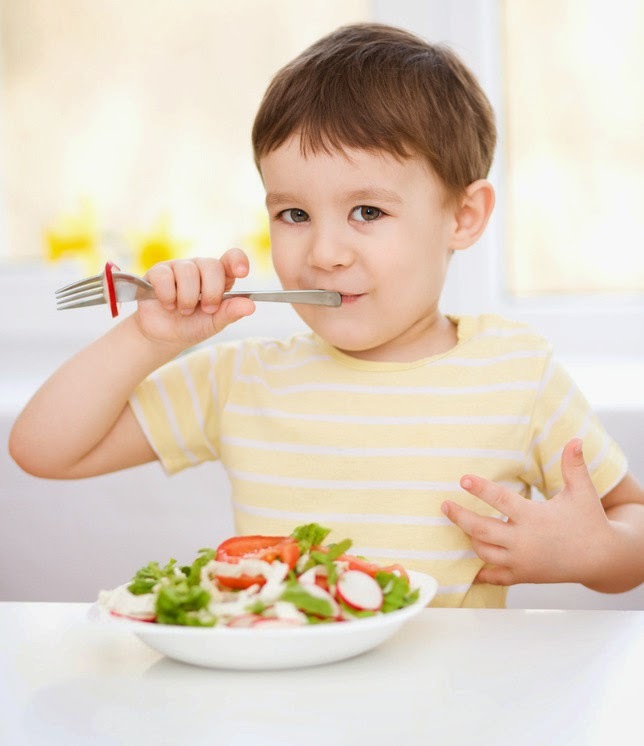 As hard as it is to believe, kids to learn their eating habits added very young age. Studies show that the average age is around two or even younger. From the time that they start two to eat semi solid foods they should be given vegetables. Only give them vegetables and nothing else to reward them. Meaning do not reward them for eating vegetables with some sort of sweet or treat. You have to give them the idea that vegetables are that treat.. Even if you don't like vegetables you're going to have to toughen up here and shown that you really do like vegetables. Take that carrot, chew it up, and put a big smile on your face. There's nothing kids like more than having the power to pick something themselves. Go through the vegetable isles at the supermarket and let them look and explore. Explain that the green vegetables make them big and strong. Tell the carrots make their eyes like an eagle. Make them feel like superheroes. Try to choose a variety of colors and explain what each color of vegetable contributes. If you don't know what each color vegetable does, google "vegetable colors" and you should find some really good information. 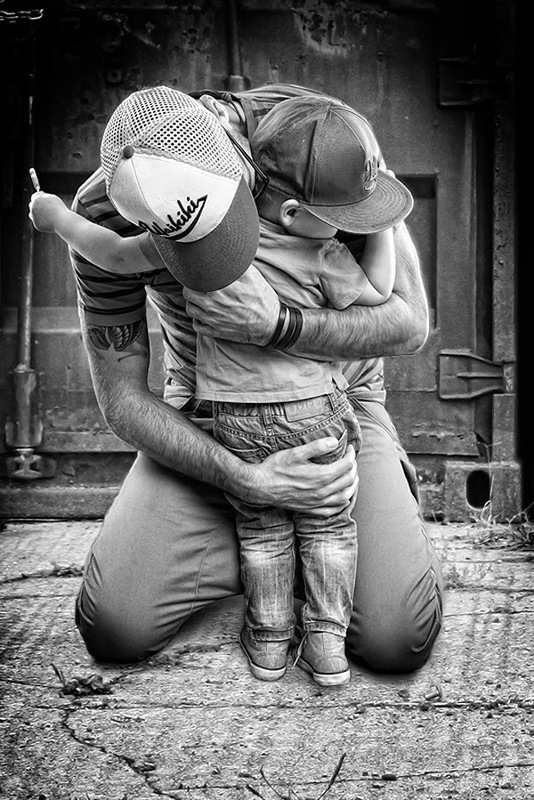 Thinking back on your childhood what are some of the earliest memories you have? Are any of them sitting with your mother, your grandmother, your father or some other family member somewhere cooking something? Chances are they are. Most kids, when you ask them to describe their earliest memories, often talk about cooking something with a family member. Many chefs including some of the most famous got their start by cooking with an influential family member. Letting the kids get involved in preparing meals not only creates a bond and experience between you and the children it also allows you to teach them good nutrition. If they are able to help prepare the vegetables they will want to be able to try what they've made. Looking on your countertop right now, are there any junk foods that are in plain sight for your kids to see? Do they have access to chips, cookies or ice cream? If so they shouldn't. Remove anything that's in plain sight that is considered junk food. Grab a bowl, fill it with fruit and stick it on the counter. Keep good food in sight and hide the bad stuff. When the kids open the fridge they should see carrots, maybe celery sticks, oranges, apples or any type of fruit or vegetable should be visible. All the junk food (if you have any) should be out of their site. Another good idea is to have 100% fruit juice in the fridge for them to drink. Again kids are going follow what they see you do. They see you drinking soda all day there going to do the same thing. That doesn't mean you can't drink soda, just put the soda behind the juice. Even if you live in New York City, you can grow at garden in just a little box. Teaching your children how to grow, how to pick, and the fun of eating the stuff that you grow will really help them create love for vegetables. Not to mention that anything you grow yourself you know where it came from. Growing vegetables is beyond this article but you should be able to find a plethora of information by googleing "grow vegetables at home"
Now this is important, let them do the picking. There's something about the smile on a kids face after they've picked something they grew. Doing 5 minutes of research online can literally find hundreds of recipes. Do a quick google search for "kids vegetable recipes" and you'll be very surprised about the number of very tasty and very healthy recipes the two kids will love to make with you. Another recommendation is to watch some cooking shows that are known for cooking healthy meals. 30 minute meals, good eats, etc. That's not an excuse to sit on the couch all day though! The Chinese never had any problems with diabetes until they adopted the western style of cooking and eating. That's kind of telling. One of the best, if not the best, way to cook vegetables is stir frying. Stir frying requires very little fat to be added to the vegetables. Even with very little oil the taste of the vegetables get sealed in and creates a delicious side dish or meal. Try to get many different kinds of vegetables together to make a vegetable medley. A quick meal may with just stir fried vegetables can show your kids how delicious vegetables can be. You don't have to throw in beef or chicken and are any other type of meat just the veggies. When you want to use this makes simply combine it with 1 cup of low fat mayonnaise 1 cup of low fat yogurt and 3 tablespoons of the mix above. Believe me this dip is awesome. It's no secret that soda is not a very good choice for kids. Yet the majority of parents, to quiet their children, give in and let their children drink soda. Of course anything is OK in moderation but soda should be the exception. In my experience once kids drink soda, juice is out of the picture. They'll be begging for soda and juice will be an afterthought. But remember they learn from what they see. If soda isn't in the house they can drink it. If they see you drinking 10 sodas a day, why shouldn't they? Giving them 100% juice early on while help them develop a love for it. Heck, you can even make your own with a juicer. A word of caution though, buy bottles of juice not cans. For some reason can juice has a lot of salt in it. Check it out for yourself the next time you're at the supermarket. So this is just a couple of ideas to help get your kids and loving vegetables at an early age. Even a third over the age of 2, 3 or 4, changing their habits is something that can be accomplished as long as you stick to your guns. Good luck. Mix milk, water, eggs, and vanilla extract in a medium bowl. In a large bowl, mix flour and the milk mixture together until it smooth. Cover with plastic seal and refrigerate for at least 1 hour. Heat a crepe pan over medium heat and pour the melted butter into the pan a bit just enough to spread over the pan. Reduce to medium-low heat, pour about 3 tablespoons batter into the pan, and twirl the pan to spread out the batter. 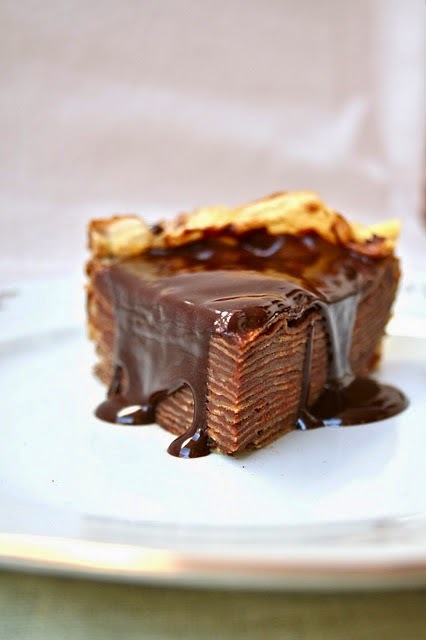 Cook until edges are golden then flip the crepe and cook for a minute. When it is cooked, move the crepe to a plate. Cook the remaining batter with the same direction but do not forget to fill the pan with butter properly, you may end up with burning. You could have about 15 to 20 crepes at the end. Before spreading, the crepes should be cooled down. Nutella can be melted if you spread it on too hot crepe. In a large mixing bowl, mix the butter and cream cheese until smooth. Add the Nutella, vanilla extract, milk, and powdered sugar, continue creaming them. Using a mixer or not, beat on high speed until soft and smooth, you can add milk or sugar if needed to make it spreadable. This is the time, the crepes should be properly cool, use a tablespoon to spread the Nutella mixture in the crepes, and top them up. 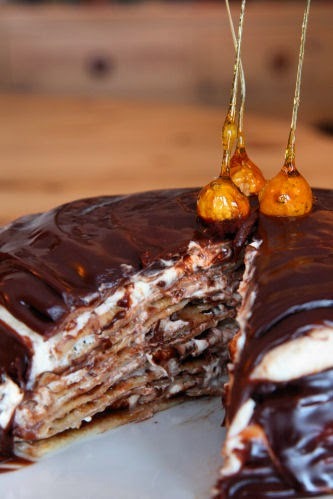 Continue layering with the Nutella and crepes, but ending with a clean crepe (do not spread it) on the top. Over medium-high heat, boil cream, corn syrup and salt on a saucepan. Remove from heat, add chocolate chips and cream then swirl the pan until completely covered. Wait for 5 minutes then stir on medium-low heat until it smooth. Then you can spoon the glaze on the top of the cake, spread to edges, around sides of cake. Cool it in refrigerator until glaze is set, about 20 minutes. Finally you may decorate with toasted hazelnuts. Be prepared on your wedding day with an emergency wedding kit so that you're ready for those little things that always tend to happen. 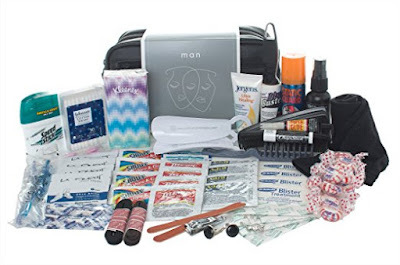 Here are some things you'll want to include in your wedding emergency kit. Extra batteries or memory cards for cameras. Few bottles of water to keep on hand. 3 different size bags available depending on the size of your Wedding Party. Perfect gift for a Wedding Shower! Read Product Description for list of contents. Our custom-made cosmetic bags are great for the Wedding Day, Orchesis, Gymnastics, Prom and beyond. It's great for travelers, too! Anywhere a fashion, cosmetic or minor medicinal "emergency" could occur, would be a perfect occasion to have "In The Bag." 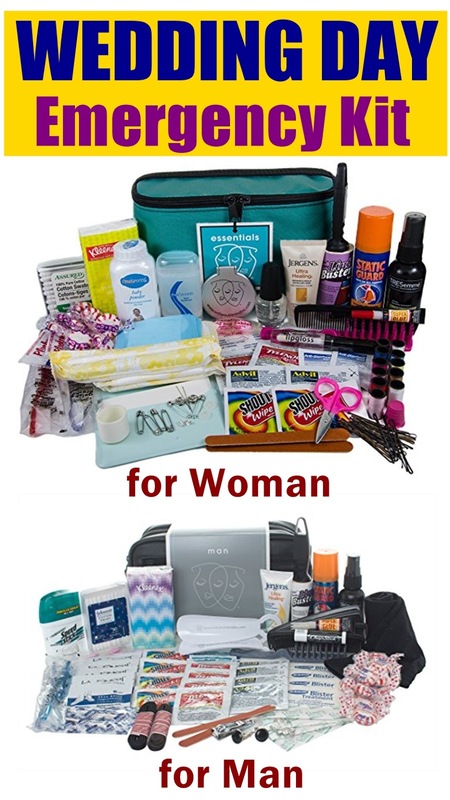 The following items are included: baby powder, lip gloss (clear), bobby pins - 6 black, 6 blond, 6 brown, (2) nail files, nail polish (clear), (1) comb, oil-absorbing blotting papers, compact mirror, hair brush, cotton swabs, hairspray (trial size), (2) individual dental floss picks, (2) mini pads, deodorant (trial size), (2) tampons, hand lotion (trial size), (2) pre-pasted toothbrushes, (2) maxi pads, (2) Advil (2/pkg. ), (1) Imodium (2/pkg. ), (2) Extra Strength Tylenol (2/pkg. ), (4) antacids, (2) band-aids, (2 ft.) hem tape, (2) Shout stain remover pads, lint roller (trial size), (4) safety pins, Static Guard (trial size), sew kit, super glue, (2) drinking straws, (1) Kleenex pak, (2) earring backs, (10) peppermints. Don't forget men have "emergencies" too. Contents include: (4) combs, hair brush, hairspray, Chapstick lip balm, nail clipper, (2) nail flies, cotton swabs, (2) dental floss picks, hand lotion, (2) pre-pasted toothbrushes, (4) Advil [2/pkg. ], (4) Extra Strength Tylenol [2/pkg. ], (2) Imodium [2/pkg. ], (4) antacids, (4) band-aids, cufflinks (1 pair), lint roller, (4) safety pins, (2) shoehorns, shoelaces - (1) black / (1) brown, (4) disposable shoeshine cloths, (4) Shout stain remover pads, static guard, (1 pair) trouser socks / black. 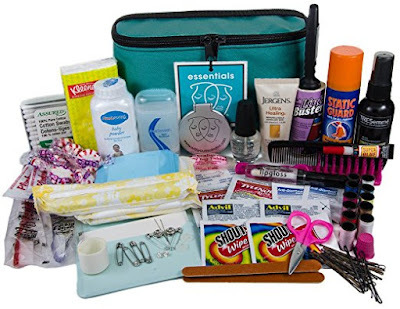 Show Murphy’s Law who is the boss with our Bridal Emergency Kit! Our robin’s egg blue kit comes adorned with Swarovski Elements and contains 30 items to neutralize any wedding day emergency. 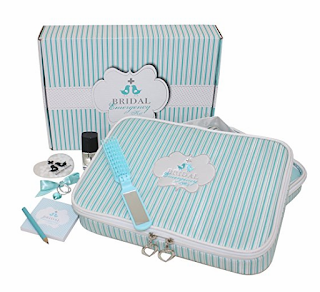 The kit and the three cosmetic bags inside can be used for toiletries long after your big day has gone off smoothly. INCLUDES: -Something Blue Crystal Heart MADE WITH SWAROVSKI ELEMENTS, Sugar Free Mints, Toothbrush, Toothpaste, Pain Reliever, Antacid, Deodorant, Lotion Packet, Tissue Pack, Bandages, Tampon, Stain Remover Towelette, Double Sided Tape, Last Minute Wedding Vows, Spare Wedding Bands, Note Pad & Pencil, Hairbrush with Mirror, Clear Elastic Hair Bands, Earring Backs, Bobby & Hair Pins, Lint Brush, Clear Nail Polish, Static Guard, Emery Board, Cotton Swabs, Cotton Balls, Sewing Kit, Mini Scissors, Super Glue, Hair Spray. All products are "travel approved". Happy Honeymooning! Cabbage is one of the most popular Winter vegetables in Turkey. 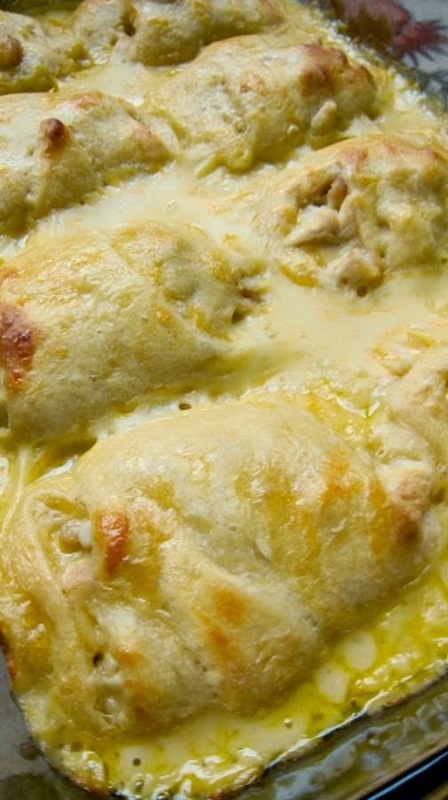 There are several dishes made from cabbage such as cabbage stew, cabbage borek (a kind of pastry), cabbage soup, cabbage pickles, and stuffed cabbage rolls. Among all these dishes, stuffed cabbage rolls are my favorite and the most common one. Just like stuffed grapevine leaves, there are various kinds of cabbage rolls. Sometimes the shape of its rolling changes, but generally its filling has variety. In fact, rice is the constant ingredient of its filling but there may be some different additions to it. In some regions minced meat is added, in some regions tomatoes and some greens (we call it cabbage rolls/cabbage sarma with olive oil), are added and in some other regions chestnut is the addition. I love the one with olive oil as this main dish turns out to be a snack for me like stuffed grapevine leaves, so I'll give its recipe here. I made these stuffed cabbage rolls last Sunday, and we finished it today. I love it so much that I felt so upset while eating the last roll. So I strongly recommend you to make these rolls in large amounts. In a large mixing bowl, combine the egg, milk, finely chopped onion, Worcestershire sauce, salt and black pepper until all ingredients have been well combined. Stir in the ground beef and cooked rice until all ingredients are mixed together. Remove the center vein from the cabbage leaves keeping each leaf intact. Immerse the leaves in boiling water for about 3 minutes or until limp, then drain away the water. Place a 1/2 cup of the meat mixture on each leaf and fold in the sides. Starting at unfolded edge, roll up each leaf, making sure folded sides are included in the roll. Place each roll in a baking dish and set aside. In a small bowl, combine together the condensed tomato soup, brown sugar and the lemon juice. Pour this sauce mixture over the cabbage rolls that are in your baking dish. Bake uncovered in a preheated 350 degree oven for 60 minutes or until they are done. Remove from oven and serve immediately. Cellulite is something that more women than not have to deal with, so more are asking themselves, 'how do I get rid of cellulite?' The answer is, with continual hard work and dedication to the cause. Truthfully, getting rid of unwanted cellulite isn't the easiest task in the world, but with a few changes to any daily routine, in addition to continual cellulite reduction therapy, being cellulite free is very much a possibility. There are several different therapies currently on the market that individuals can use to reduce the outward appearance of cellulite; some can be performed at home while others require visiting a clinic or medical spa. The trick is to find the one that is most likely to help you get rid of unwanted cellulite. While cellulite can be frustrating, removing it can become expensive, therefore many individuals ask: how do I get rid of it at home? There are a few different options for cellulite reduction at home, the first being diet and exercise alterations. While not clinically proven to reduce unwanted cellulite, studies have shown that those women who maintain a healthy diet and exercise on a regular basis are much less likely to suffer from unwanted cellulite. If diet and exercise don't seem like enough, you can also consider cellulite creams. Cellulite creams can be purchased over the counter and can be applied in the comfort of your own home. Creams for cellulite reduction work to increase collagen production and increase overall circulation so that your body naturally removes the fatty cells that cause the skin to take on that lumpy, dimpled appearance. There are a few techniques for cellulite reduction that are a bit more invasive, these include RejuveSkin and Mesotherapy. RejuveSkin involves the surgical removal of the subcutaneous layers of skin where the fat cells and toxins that cause the outward appearance of cellulite are located. Mesotherapy is a less invasive form of reduction that involves small injections of vitamins, plant matter and other organic materials that help to increase circulation for the natural removal of cellulite causing fat and toxins. Endermologie was the first cellulite reduction therapy to introduce the method now known as mechanical massage. Endermologie completely revolutionized the way we treat unwanted cellulite. The process combines mechanical massage with vacuum suction in order to help promote circulation for the natural removal of fat cells and toxins. The first laser cellulite reduction treatment took the components of the Endermologie treatment and added a third component-laser light. TriActive LaserDermology was the first cellulite treatment to employ the triple action technology for the removal of unwanted cellulite. The three components worked simultaneously to help remove cellulite causing fat cells. The next advancement in laser technology brought about the VelaShape treatment. VelaShape was the first cellulite reduction treatment to be approved by the FDA for area circumferential reduction. Not only can patients experience a reduction in unwanted cellulite, but they can also reduce inches off of the thighs, hips and buttocks as well. The most recent development in laser cellulite reduction technology is the SmoothShapes System. This system uses proprietary technology known as Photomology to effectively treat the cells that are responsible for the production of cellulite. SmoothShapes is the first and only cellulite treatment available to consumers that is FDA approved for lasting cellulite reduction, this means that it can not only can it get rid of cellulite, but the cellulite free results are long lasting. If you are completely serious and want to truly learn how to get rid of cellulite, then you will have to do more than just undergo any cellulite reduction treatment that seems okay. Doing proper research will help you to discover just what method of cellulite reduction will work for you based on the current lifestyle you lead. Cellulite is caused by a number of different factors, genetics being one of them. Even for those predisposed to unwanted cellulite can still take action in their lives to help lessen its outward appearance. Two excellent ways to help stave off unwanted cellulite are through diet and exercise. Poor diet and lack of exercise are two factors that can greatly increase your chances of developing cellulite. In addition to cellulite reduction therapy, individuals that make the effort to eat right and exercise on a regular basis will see more effective results than those who choose to undergo treatments alone. Only when you dedicate your entire lifestyle to the removal of unwanted cellulite can you achieve successful cellulite reduction. 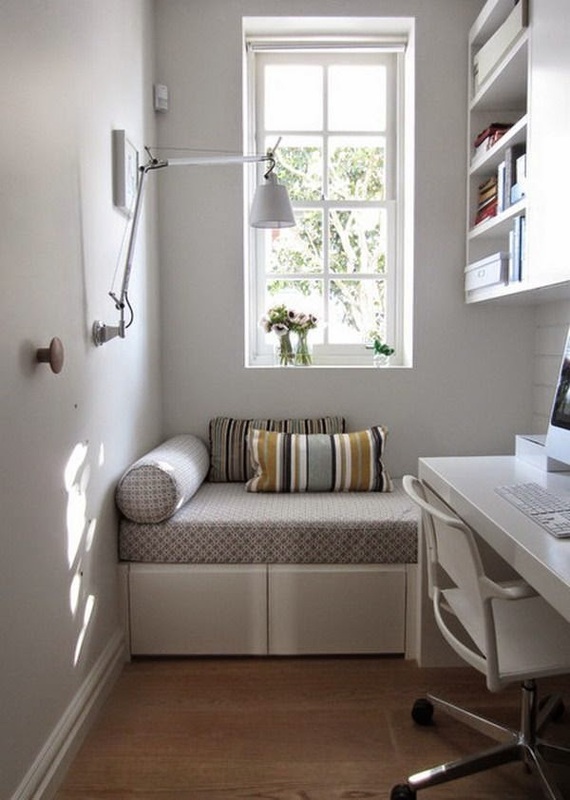 Homeowners are constantly challenged with maximizing smaller spaces within their home. My clients are no exception. In today's economy, families are often hesitant to consider purchasing a larger, newer home when they want more space for a growing family or for their changing needs. Most likely, an extra bedroom serves as the family's home office, rarely providing enough space for the needs of an office, which may also serve as guest sleeping quarters or a smaller den. Three of the most common challenges homeowners face in a small space is lack of storage, ineffective use of space and poor design. Considerfunction first-Determining how the space will be used helps to focus the arrangement of everything in the space. A custom built desk unit specific to your body type, height and movement reduces dead space within a room. Eliminate visual clutter-Keeping pattern to a minimum and creating a focal point help establish a restful mood. 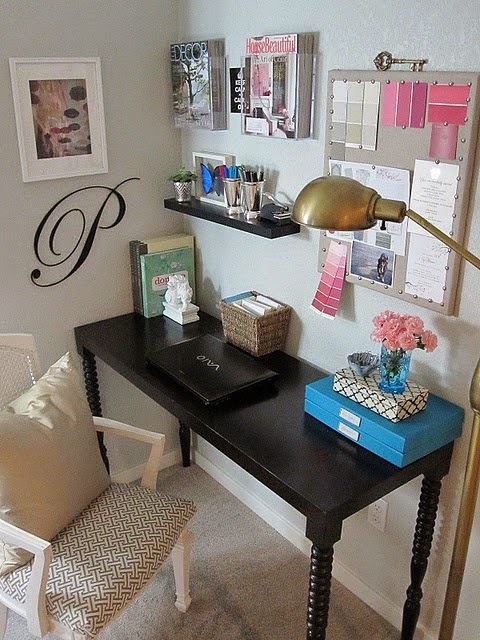 Organize bookshelves and tuck away small miscellaneous items in drawers or cabinets. Know when to use negative space (empty areas) to punctuate certain items and when negative space should be occupied to complete the design. Update the lighting - Lamps are vital to breathing life into a room. There should be a balance of ambient, task and mood lighting around the entire room to diminish dark areas and draw attention to your focal points. It's also important to have appropriate lighting for reading and using the computer. Wall sconces are an excellent way to set the mood for relaxing or watching television. Lift the eye with dramatic verticals - This is another trick for increasing the perceived space in a room. 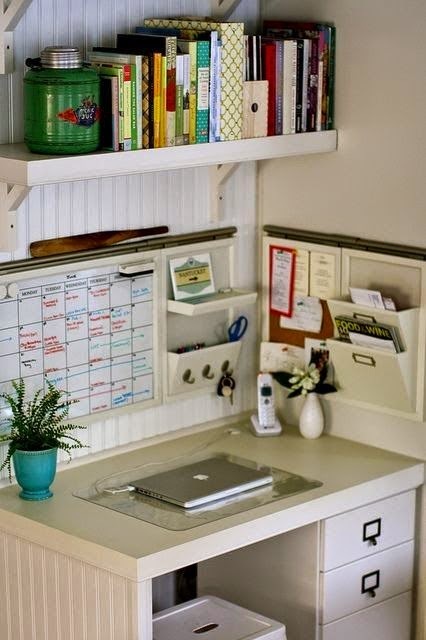 In an office it's natural to want to take shelving to the ceiling to create more storage. Don't stop there! Use art work and window treatments to vertically draw your eye up to enlarge the space. Repeat color for balance - When the strongest color is on the wall, repeat the color in furnishings or accessories to expand a space. Add a conversation or lounging spot - Mentally just knowing there's a comfortable area dedicated to relaxing or taking a break from work makes you more productive and less anxious in a work space. Seating should be angled in a manner that invites you into the room. Unify the conversation area with a rug. Use the floor space - Not placing furniture in the center of the room is a common mistake. Rather than opening up the space, it actually promotes a cavernous feeling. Again, you want to feel drawn in. Use large scale items - Furniture and accessories larger in scale are best. Lots of little items are fussy. Limit the number of objects in the room paying more attention to the type of and placement of each item in the room. Think like a designer - Although function is first in an office space, take every opportunity to create a harmonious beautiful space. Select a unique trash can to add flair to your design. No item is too insignificant to jazz up your space. Make it a space you won't want to leave. 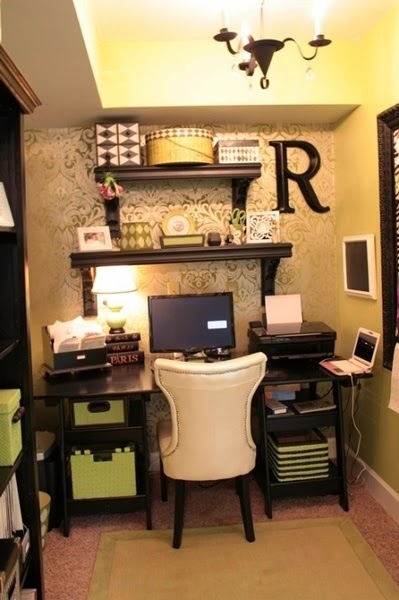 Following some or all of these suggestions will help put you on the path to designing the home office you've always dreamed of. Weight lifting is something that intimidates some women but it is, actually, a workout that is just as beneficial for you as it is for men. While most men want to build huge muscles through weight lifting, though, most women prefer to develop lean and toned muscles. To get the kind of results you want, you have to have extensive knowledge on the proper techniques and methods of weight lifting for women. You can get a tight and strong body by paying attention to your exercises, your diet and your mindset. There is a common misconception that weight lifting is just spot toning. Some women think that they should only exercise the specific muscles they want to change but doing so can result in dangerous muscular imbalances. Weight training should be done on opposing muscles instead. There should be enough variety in the exercises to constantly surprise and challenge the muscles without overtraining them. It is also very important to always use proper form and technique not only for optimum effectiveness but also to avoid injury. 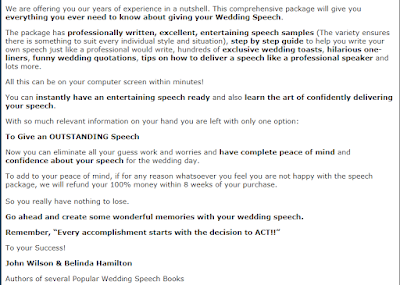 If possible, it is recommended for beginners that the program be guided by a professional trainer. Diet is also crucial to a weight lifting program but this does not include crash diets or extremely low calorie diets that only result in loss of water and muscles. Your body needs enough calories to build the lean muscles you want. You also need these muscles to further speed up your metabolism and enable your body to burn fat more efficiently. To be able to feed such muscle building efforts you need to eat enough lean complete proteins, complex carbohydrates and healthy fats. You should also drink a lot of water to hydrate the muscles, eliminate metabolic wastes and lessen muscle soreness. On the other hand, you should remove all unhealthy fats and simple carbohydrates like sugar and starch from your food plan. Aside from having the proper exercises and proper diet, you also need to have the proper mindset for weight lifting. This is not an overnight beauty procedure that will instantly produce the aesthetic results you want. You need to have discipline, consistency and patience for a program that is supposed to be for the long term. You have to follow the rules and the schedules. You cannot hasten the process by ignoring the maximum limit in repetitions and frequency of exercises because the intervals and rest days between workouts are just as important for recuperation, muscle repair and muscle building. As a beginner in weight lifting you should stick close to the guidelines provided above for all women. They will ensure that you will progress to having a lean, tight and toned body from either being too skinny or overweight. Every woman will surely benefit greatly from such an end result. This will undoubtedly be a family favorite. It's a simple, well balanced and nutritious snack and can even be served as a dinner. Everyone loves "finger foods" and this is one that will please them all. The first part of this dish is the same direction you might find in a stir-fry recipe. Cut the chicken into 2 inch strips. Lightly and evenly salt and pepper and set aside. Cut the asparagus into 2 inch segments.The asparagus can be steamed separately or it can be stir fried with the chicken. Asparagus also tends to be sweeter when it's not overcooked. It should remain somewhat crunchy and usually ends up just about right by the time the chicken is cooked. This will add to the texture of the dish and also keep the nutritional value intact. It's a bit of a time saver and there is less cleanup if you cook them together. In a large frying pan, heat the olive oil and add the garlic (if you choose to use it). The garlic should not be browned but just left in the hot oil long enough to extract the natural oils and combine nicely with the olive taste. As soon as the oil is hot enough, add the chicken and asparagus. Stir consistently for about 10 minutes. This should be long enough to fully cook the chick without drying it out and also a short enough time to keep the asparagus from getting overcooked. Remove them from heat and set them aside to cool. Stack five or 6 tortillas at a time on a cutting board and cut them into long 2 inch wide strips. The rounded edge strips will work fine, too. When you have them cut, cover them with a very slightly damp towel and microwave them for about 20 seconds. They only need to warm up enough to make them easier to roll. Now comes the fun part. I usually get someone to help and rarely get an argument from the kids. Get a teaspoon or a spreading knife, whichever you find easier to use, and spread a layer of the Hoisin sauce on a tortilla strip. It doesn't take much because the sauce has a lot of flavor. Place a piece of chicken and a segment of asparagus at the end of the strip and roll it up like a wrap sandwich. The Hoisin sauce will help to keep it rolled. Stack them on a serving plate as you go. Trust me when I tell you that you'll be lucky to have enough left on the plate that you're trying to fill by the time you run out of your prepared ingredients. This is a pretty complete snack but try serving raw cauliflower on the side. Rihanna, from the beautiful island nation of Barbados, took control of the American music industry with her debut album entitled "Music of the Sun." Her singles, beginning with "Pon de Replay," dominated the Billboards. And eventually, she received a Grammy Award. Her sultry voice mesmerized music lovers. And her enchanting face, framed by beautiful Rihanna hairstyles, charmed photographers and won over celebrity critics. Was Rihanna born with naturally beautiful hair that complements her perfect face? She was certainly born with a beautiful voice and good genes, but the gorgeous Rihanna hairstyles are not genetically-designed. With Rihanna's hairstyles, the only role that genetics played is in determining the shape of her face. The shape of the face is the first and foremost aspect that will decide whether a certain hairstyle is jaw-dropping amazing, just acceptable, or hideously atrocious. And Rihanna is no exception. Unfortunately, like most shapes of women's faces, Rihanna's face shape is a combination of two basic face shapes: the oval and the diamond. The ratio of the length and width of her face closely approaches the classic oval face. But due to her hairline, the width across her forehead is precisely equal to the width across her jaw line. This makes her face shape a diamond. Thus, whoever decides Rihanna's hairstyles must consider this unique combination. Of course, ordinary fans do not need to become a hairstylist to decide whether a certain Rihanna hairstyle is great or not. In fact, there are only three things to remember. First, fans must remember that the purpose of hairstyles is to create an illusion that will make the face shape look closer to the oval shape. Rihanna's face shape already has the correct width and length proportion, except for the considerably narrow forehead that makes her face shape a diamond. Thus, Rihanna's hairstyles need to only make little adjustments in the forehead area. To take care of the narrow forehead, most of Rihanna's hairstyles included side-swept bangs. The rest of her face simply needs to be exposed. This is why Rihanna's hairstyles explored the range of hair lengths, from short lengths to longer lengths. If the Rihanna hairstyle is long, she complements it with side-swept bangs or ensures that the sides of the hair hug her face. If the Rihanna hairstyle is short, she adds crown height or brushes the hair sidewise to add width to the forehead. Second, fans must remember that your hair is your crowning glory. The hairstyle must highlight the best features of the face. In the case of Rihanna, she has stunning eyes that brim with mischief. These eyes can be best flaunted with bangs. Rihanna's hairstyles can utilize virtually any type of bangs. She can even get away with Egyptian bangs. Besides the beauty of her eyes, Rihanna has full sensual lips that lead to a delicate chin. This feature can be highlighted by layers, best displayed with straight hair. 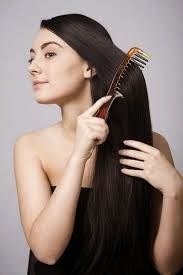 The straight hair, due to the simplicity of lines, does not distract the eye from the face. Thus, the majority of Rihanna hairstyles involve straight hair. 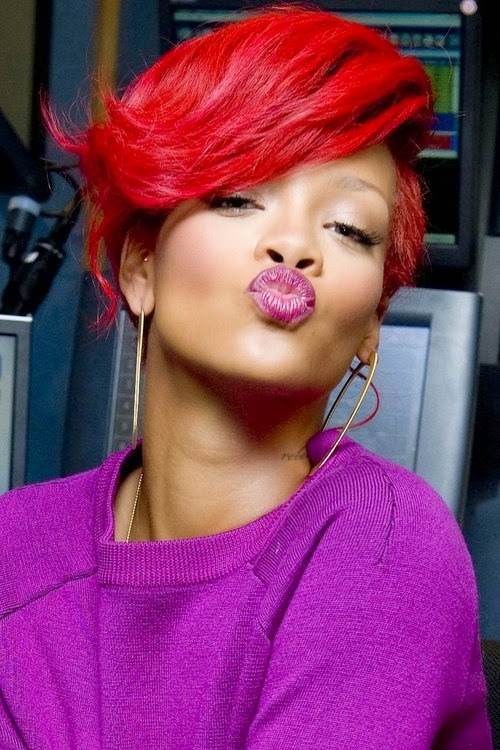 And third, fans must remember that there is more to the Rihanna hairstyle than the shape of her face. The hairstyle should also reflect the body and the personality. Since Rihanna's personality is that of a pop star who can handle any type of music, the Rihanna hairstyles tend to lean towards the trendy and the unusual. With her shapely body, the wide array of choices of Rihanna hairstyles becomes wider.